When Twitter first introduced video it was only 30 seconds long. Video wasn't the most important thing, but as things change Twitter are trying to push video more. This change in video isn't just on Twitter though but also Vine. So now video on Twitter is 140 seconds long and it's looking as if Vine will be beta testing 140 seconds video as well. The reason for this increase is so that people will spend more time on Twitter. Most people who want to watch video go on YouTube. They might be willing to watch live streams on Twitter through Periscope, but there aren't many unrelated videos of interest on Twitter. However, will many people be willing to sit around and watch videos of a little over a minute long? It doesn't seem that likely. 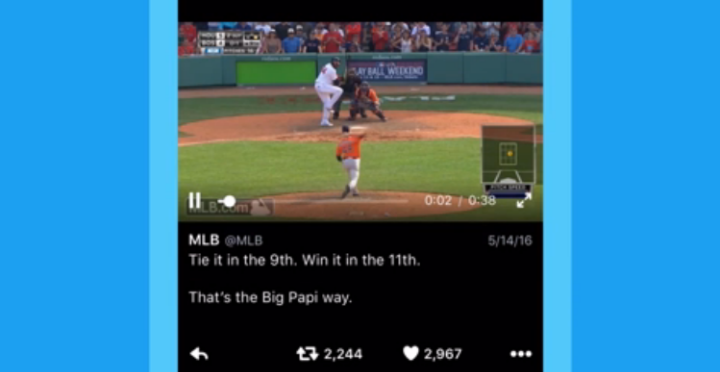 Twitter are trying their best though and are offering a new video player to watch these longer videos in. This player will take up the whole screen and under the video, there will be recommendations of other videos you might like. If you want to waste a little time, then it might be a good way to do so but only if people start posting more video. As well as this, Twitter are releasing a new app called Twitter Engage. This app is an engagement app so it's only useful for users with a large following, but unlike a lot of other similar social media engagement services, anyone can install and use this. Basically, this app will have better analytics so you can see how well certain tweets do, where people come from and other related features. It'll be good if you're trying to make a name for yourself on Twitter and could be useful for businesses who are just starting out and don't want to be focused on business software yet. We don't have any idea about when Twitter will be releasing this or testing the longer Vines, but it should be soon. You do have to wonder if Vine will still be as popular if the looping videos are over one minute long as what makes them work is that they're only six seconds long. What they are doing right on Vine, however, is that they're now giving users the chance to monetise these short videos, which is something Viners have been hoping to be able to do for a while now. Twitter might be doing the right thing with video on the original platform to encourage more users to get back on there, but it doesn't seem likely that Twitter will become a popular service for video anytime soon.